The United States Handball Association and the World Players of Handball are proud to present the live broadcast of the 66th USHA Four Wall National Championships from Fridley, MN. Friday featured the Men’s Pro Semifinals, with three of the four superstars hailing from Ireland. Paul Brady and Luis Moreno continued their rivalry that started in earnest with Moreno defeating Brady as an 18-year-old in the quarterfinals of the 2008 Simple Green U.S. Open. Brady won each of their subsequent meetings, including the 2012 World Handball Championships and the 2014 and 2015 Simple Green U.S. Open finals. Moreno was poised to end Brady’s 10-straight national championship run on Friday, as he attacked Brady in game one. Moreno overpowered and outplayed “The Gunner” in game one, taking a one-game lead with a deft front court touch and two-way hops. Brady regrouped in game two, relying on his experience and conditioning to even the match. Brady and Moreno scored just seven combined points in the first 22 minutes of game two, but Brady scored 11 points in the next six minutes to take a commanding 15-6 lead and closed out the game, 21-8. Moreno regained the momentum in the tiebreaker, surging to a 4-1 lead and appearing to be in complete control. Brady closed to 4-5 but Moreno scored three straight to take a seemingly commanding 8-4 lead. Moreno stood just three points from ending Brady’s 10-year run, but Brady located his power reverse serve to the left, scoring two straight points to pull within two and killed two setups to tie the score at eight. Brady continued his streak, scoring the final three points of the match after tying the score at eight, punctuating the match with a right-handed kill and a two-handed fist pump. Martin Mulkerrins faced his compatriot Killian Carroll in the second men’s semifinal of the afternoon in a matchup of early-twenties Irish contemporaries. Mulkerrins picked up where he left off against Sean Lenning in the quarterfinals, building an 11-3 lead in game one. Carroll rattled off points in bunches, eventually tying the score at 14 and running away with the game to take a one-game lead. Mulkerrins again started quickly in game two, scoring eight points before Carroll entered the server’s box. Carroll quickly tied the score at nine and closed out the match on a 21-4 run. 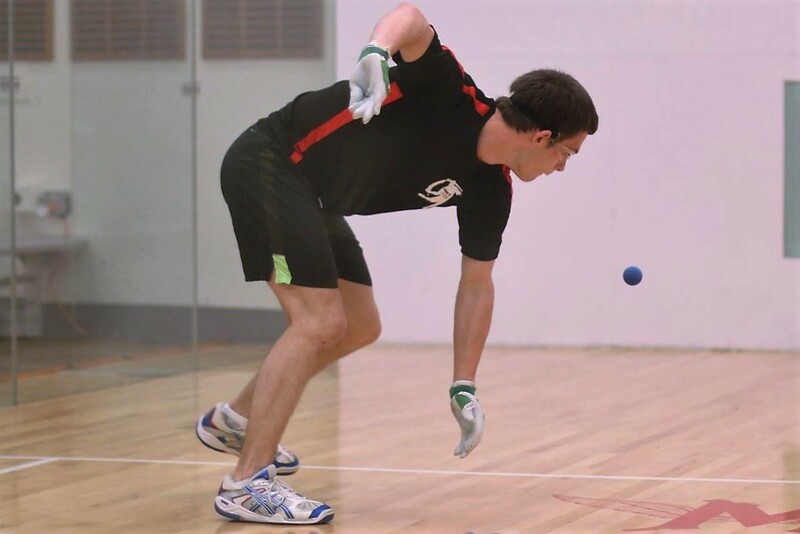 Brady and Carroll will meet for the fourth time in less than a year, with Brady winning their first two encounters in the finals of the 2015 World Handball Championships and Race 4 Eight V New Orleans and Carroll defeating Brady in the semifinals of the Race 4 Eight V Player’s Championship in Portland. Brady will be seeking his 11th USHA Four Wall National title, which would tie Naty Alvarado, Jr., while Carroll will be seeking his first. The Women’s Pro Semifinals will follow the Men’s Pro Singles on Saturday, with Catriona Casey seeking to repeat as the USHA Four Wall Women’s National Champion. To watch Saturday’s Men’s Pro Singles Finals starting at 11 am CST, go to race4eight.com. The Women’s Pro Singles Semifinals will start immediately after the Men’s Final. ***The above times, matches and dates are just estimates based off of the schedule posted on r2sports.com. For a more specific clarification please contact the USHA @ handball@ushandball.org. Although the WPH is filming and broadcasting these championship games on race4eight.com, they had no part in making the schedule, seeding the brackets or organizing the tournament. 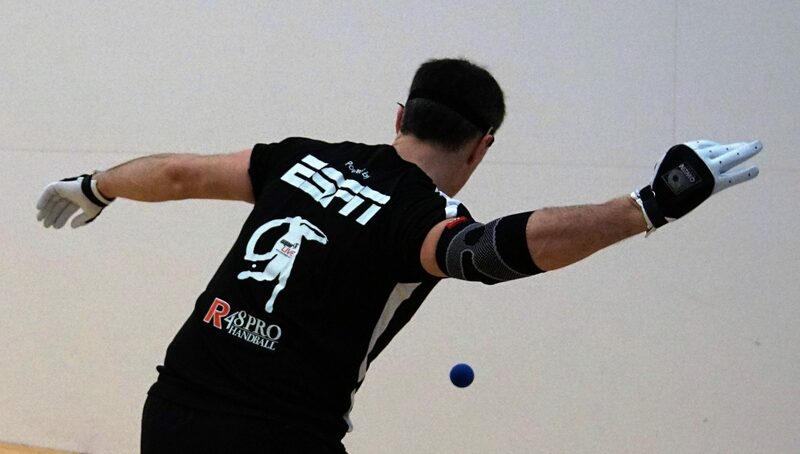 Please contact the United State Handball Association for specific questions related to the national handball championships, format, rules and schedule.